New Zealand singer and songwriter Lorde (Ella Yelich-O'Connor) has released two studio albums, three extended plays, eight singles and seven music videos. At the age of 13, she was signed to Universal Music Group (UMG) and started to write music. In November 2012, when she was 16 years old, she self-released The Love Club EP via SoundCloud. The EP was released for sale by UMG in March 2013; a song from the EP, "Royals", became a hit in New Zealand in early 2013. Later that year, "Royals" topped numerous single charts internationally, including the US Billboard Hot 100. It sold over 10 million units worldwide, making it one of the best-selling singles of all-time. In September 2013, Lorde released her debut studio album Pure Heroine, which included "Royals". It charted at number one in New Zealand and Australia, and achieved certifications in several countries. As of May 2017, the album has sold over four million copies worldwide. Pure Heroine was preceded by three additional singles: "Tennis Court", "Team", and "Glory and Gore". The former topped the New Zealand chart while the penultimate was a top-ten hit in New Zealand, Canada, and the United States. In September 2014, Lorde released "Yellow Flicker Beat" as the lead single from the soundtrack album for the film The Hunger Games: Mockingjay, Part 1 (2014). Her second studio album, Melodrama, was released in 2017 and reached number one in New Zealand, Australia, Canada and the United States. It yielded three singles: "Green Light", "Perfect Places" and a remix of "Homemade Dynamite" featuring Khalid, SZA and Post Malone. Lorde has sold 6.8 million tracks in the US, as of January 2014, and 17 million songs worldwide, as of November 2014. ^ Worldwide sales figures for Pure Heroine as of April 2015. ^ Australia sales figures for Pure Heroine as of January 2014. ^ United States sales figures for Pure Heroine as of January 2018. ^ Australia sales figures for Melodrama as of June 2017. ^ United Kingdom sales figures for Melodrama as of June 2017. ^ United States sales figures for Melodrama as of June 2017. ^ a b c d In Australia, The Love Club EP appeared on the Australian Singles Chart; songs on the EP therefore could not chart separately. ^ United States sales figures for The Love Club EP as of August 2013. ^ In Australia, The Love Club EP appeared on the Australian Singles Chart; songs on the EP therefore could not chart separately. However, "Royals" charted on the ARIA Digital Track Chart and peaked at number 2. ^ "Glory and Gore" did not enter the Official New Zealand Music Chart, but peaked at number 16 on the New Zealand Artists chart. ^ "Glory and Gore" did not enter the Canadian Hot 100, but peaked at number 36 on the Canada Rock songs chart. ^ "Perfect Places" did not enter the Billboard Hot 100, but peaked at number 13 on the Bubbling Under Hot 100 Singles chart. ^ "Bravado" did not enter the Official New Zealand Music Chart, but peaked at number 5 on the New Zealand Artists chart. ^ "Buzzcut Season" did not enter the Official New Zealand Music Chart, but peaked at number 18 on the New Zealand National Singles chart. ^ "No Better" did not enter the NZ Top 40 Singles Chart, but peaked at number seven on the NZ Artist Singles Chart. ^ "Million Dollar Bills" did not enter the NZ Top 40 Singles Chart, but peaked at number nineteen on the NZ Artist Singles Chart. ^ "400 Lux" did not enter the NZ Top 40 Singles Chart, but peaked at number fourteen on the NZ Artist Singles Chart. ^ "A World Alone" did not enter the NZ Top 40 Singles Chart, but peaked at number fifteen on the NZ Artist Singles Chart. ^ "Meltdown" did not enter the NZ Top 40 Singles Chart, but peaked at number nineteen on the NZ Artist Singles Chart. ^ "Ladder Song" did not enter the NZ Top 40 Singles Chart, but peaked at number fourteen on the NZ Artist Singles Chart. ^ "The Louvre" did not enter the NZ Top 40 Singles Chart, but peaked at number one on the NZ Heatseeker Singles Chart, and number four on the NZ Artist Singles Chart. ^ "Hard Feelings/Loveless" did not enter the NZ Top 40 Singles Chart, but peaked at number eight on the NZ Artist Singles Chart. ^ "Sober II (Melodrama)" did not enter the NZ Top 40 Singles Chart, but peaked at number ten on the NZ Artist Singles Chart. ^ "Writer in the Dark" did not enter the NZ Top 40 Singles Chart, but peaked at number two on the NZ Heatseeker Singles Chart, and number seven on the NZ Artist Singles Chart. ^ "Supercut" did not enter the NZ Top 40 Singles Chart, but peaked at number seven on the NZ Artist Singles Chart. ^ "Liability (Reprise)" did not enter the NZ Top 40 Singles Chart, but peaked at number eleven on the NZ Artist Singles Chart. ^ "Supercut" (El-P Remix) did not enter the NZ Top 40 Singles Chart, but peaked at number nine on the NZ Heatseeker Singles Chart. ^ Cardy, Tom (5 October 2013). "Lorde: NZ's newest pop star". The Dominion Post. Archived from the original on 26 January 2014. ^ Montgomery, James (3 October 2013). "Lorde's 'Royals' May Be #1, But She's Still 'Just A Disgusting Person'". MTV News. Viacom. Retrieved 5 January 2014. ^ Lipshutz, Jason (5 December 2013). "New Zealand's Broods Signs To Capitol In U.S., Preps Debut Album with Lorde's Producer". Billboard. Retrieved 5 January 2014. ^ Schulz, Chris (21 March 2013). "Lorde, The Love Club EP". The New Zealand Herald. Retrieved 5 January 2014. ^ a b Nippert, Matt (7 November 2014). "Birthday girl Lorde's earnings estimated at $11m-plus". The New Zealand Herald. Retrieved 7 November 2014. ^ Christman, Ed (23 January 2014). "Macklemore, Daft Punk, Lorde, Jay Z & Beyonce: Retailers Predict This Year's Grammys Bump". Billboard. New York. Retrieved 3 May 2014. ^ a b c d e f For all except "Team, Ball, Player, Thing" and "No Better": "Discography Lorde". Charts.org.nz (Hung Medien). Retrieved 6 July 2017. "Team, Ball, Player, Thing": "charts.org.nz – #KiwisCureBatten – Team Ball Player Thing". Hung Medien. Retrieved 11 October 2015. "No Better": "Top 20 New Zealand Singles Chart". Recorded Music NZ. 23 December 2013. Retrieved 19 November 2016. ^ a b "Discography Lorde". Australian-charts.com (Hung Medien). Retrieved 8 March 2014. ^ a b "Lorde – Chart history: Canadian Albums". Billboard. Retrieved 8 March 2014. ^ a b "Discografie Lorde". danishcharts.com. Hung Medien. Retrieved 7 June 2014. ^ a b c d "Discographie Lorde" (in French). Lescharts.com (Hung Medien). Archived from the original on 9 March 2014. Retrieved 8 March 2014. ^ a b "Lorde – Melodrama". GfK Entertainment Charts. Retrieved 6 July 2017. ^ "Discography Lorde". Italiancharts.com (Hung Medien). Retrieved 8 March 2014. ^ a b "Discography Lorde". swedishcharts.com. Hung Medien. Archived from the original on 14 March 2014. Retrieved 3 April 2014. For "Magnets": "Disclosure ft Lorde". Official Charts Company. Retrieved 11 October 2015. For "Tennis Court": "Official Singles Chart UK Top 100". Official Charts Company. 2 November 2013. Archived from the original on 27 October 2013. For "Yellow Flicker Beat": "Official Singles Chart UK Top 100". Official Charts Company. 11 October 2014. Archived from the original on 6 October 2014. For all others: "Lorde". Official Charts Company. Retrieved 18 June 2014. ^ a b "Lorde – Chart history: Billboard 200". Billboard. Retrieved 8 March 2014. "Pure Heroine – Lorde". New Zealand: iTunes Store (Apple). Retrieved 8 March 2014. "Pure Heroine". Amazon.co.uk. Retrieved 8 March 2014. "Pure Heroine". Amazon.com. Retrieved 8 March 2014. ^ IFPI (12 April 2014). "Global Top Albums of 2013". IFPI. Retrieved 25 April 2017. ^ "Global Music Report 2015" (PDF). International Federation of the Phonographic Industry. 14 April 2015. Retrieved 25 April 2017. ^ Adams, Cameron (8 January 2014). "ARIA album charts: Pink and Katy Perry score highest sellers in Australia in 2013". News.com.au. Retrieved 10 March 2014. ^ Brooke, Mazurek (19 January 2018). "Lorde on the Historic 2018 Grammys, the #MeToo Movement & Loving Cardi B". Billboard. Prometheus Global Media. Retrieved 20 January 2018. ^ "NZ Top 40 Albums Chart". Recorded Music NZ. 3 February 2014. Retrieved 9 March 2014. ^ "ARIA Charts – Accreditations – 2017 Albums". Australian Recording Industry Association. Retrieved 13 March 2017. ^ a b c d e f g "Certified Awards". British Phonographic Industry. Archived from the original (Enter the keyword "Lorde", select search by Artist and click search) on 6 February 2013. Retrieved 8 March 2014. ^ a b c "Gold-/Platin-Datenbank: Lorde" (in German). Bundesverband Musikindustrie. Retrieved 26 April 2014. ^ "Certificeringer". ifpi.dk. 23 August 2016. Retrieved 8 September 2016. ^ "LORDE Pure Heroine" (in Swedish). Sverigetopplistan. 25 March 2014. Archived from the original on 21 May 2013. Retrieved 30 March 2014. ^ a b c d e f g h i "Gold/Platinum - Music Canada". Music Canada. Retrieved 22 August 2017. ^ "Les Certifications – 2014" (in French). Syndicat National de l'Édition Phonographique. Archived from the original on 21 June 2014. Retrieved 21 June 2014. ^ a b c d e "Gold & Platinum - RIAA". Recording Industry Association of America. Retrieved 22 August 2017. ^ Adams, Cameron (25 June 2017). "Lorde succeeds where Katy Perry failed by knocking Ed Sheeran off the top of the ARIA album chart". News Corporation Australia. Retrieved 28 June 2017. ^ Caulfield, Keith (25 June 2017). "Lorde Earns First No. 1 Album on Billboard 200 Chart With 'Melodrama'". Billboard. Retrieved 26 June 2017. ^ "New Zealand album certifications – Lorde – Melodrama". Recorded Music NZ. Retrieved 20 July 2018. ^ "ARIA Australian Top 50 Albums". Australian Recording Industry Association. 16 October 2017. Retrieved 14 October 2017. ^ "Soundtrack – The Hunger Games: Mockingjay Part I (Album)". Charts.org.nz (Hung Medien). Retrieved 8 March 2014. ^ "Soundtrack – The Hunger Games: Mockingjay Part I (Album)". Australian-charts.com (Hung Medien). Retrieved 8 March 2014. ^ "Canadian Albums Chart: December 6, 2014". Billboard. 6 December 2014. Retrieved 31 December 2014. ^ "Soundtrack – The Hunger Games: Mockingjay Part I (Album)" (in German). Media Control. Retrieved 8 March 2014. ^ "2014-11-23 Top 40 Compilation Albums Archive". Official Charts Company. Retrieved 31 December 2014. ^ "Top 200 Albums Chart: December 6, 2014". Billboard. 6 December 2014. Retrieved 31 December 2014. ^ "Soundtracks: December 6, 2014". Billboard. 6 December 2014. Retrieved 31 December 2014. ^ "Various – The Hunger Games: Mockingjay – Part 1 (Original Motion Picture Soundtrack) [Standard version]". Discogs. Retrieved 17 November 2014. ^ Caulfield, Keith (28 November 2014). "Billboard 200 Chart Moves: Lorde's 'Hunger Games' Soundtrack Debuts". Billboard. Retrieved 11 June 2018. "The Love Club – EP". New Zealand: iTunes Store (Apple). Retrieved 8 March 2014. "Love Club The EP – Lorde". JB Hi-Fi. Archived from the original on 9 February 2014. Retrieved 8 March 2014. "The Love Club – Lorde | Releases Information". AllMusic. All Media Network. Retrieved 18 December 2014. ^ Caulfield, Keith (16 August 2013). "Chart Moves: Lorde's 'Love' Rises, Cody Simpson Surges, the Supremes Return to Billboard 200". Billboard. Retrieved 6 October 2014. ^ "Top 20 New Zealand Albums Chart". Recorded Music NZ. 24 February 2014. Retrieved 8 March 2014. ^ a b c d e f g h i j k l "ARIA Charts – Accreditations – 2018 Singles". Australian Recording Industry Association. 31 December 2018. Retrieved 10 January 2019. "Tennis Court – EP by Lorde". United Kingdom: iTunes Store (Apple). Retrieved 10 January 2014. "Lorde – Tennis Court EP". Amazon.co.uk. Retrieved 8 March 2014. "All Hail Live Lorde: Listen To The Exclusive Spotify Stream, 'Live In Concert'" (Press release). Republic Records. 4 November 2013. Archived from the original on 21 December 2013. Retrieved 8 March 2014. "Hört "Lorde – Live In Concert" auf Spotify" (Press release) (in German). Universal Music Group. 6 November 2013. Archived from the original on 17 November 2013. For all except "Glory and Gore" and "Everybody Wants to Rule the World": "Discography Lorde". Australian-charts.com (Hung Medien). Retrieved 8 March 2014. For "Glory and Gore": "Chartifacts". ARIA Charts. Archived from the original on 14 May 2014. For "Everybody Wants to Rule the World": "The ARIA Report" (PDF). Australian Recording Industry Association. 29 July 2014. Retrieved 21 July 2014. For "Sober": "ARIA Chart Watch #426". auspOp. 24 June 2017. Retrieved 24 June 2017. ^ a b "Lorde – Chart history: Billboard Canadian Hot 100". Billboard. Retrieved 8 March 2014. All except where noted: "Discography Lorde – Discography Singles". FIMI. Italiancharts.com: Hung Medien. Retrieved 11 August 2014. For "Yellow Flicker Beat": "Top Digital Download – Classifica settimanale WK 48 (dal 2014-11-24 al 2014-11-30)" (in Italian). Federazione Industria Musicale Italiana. 1 December 2014. Retrieved 4 January 2016. ^ a b "Lorde – Chart history: The Hot 100". Billboard. Retrieved 8 March 2014. 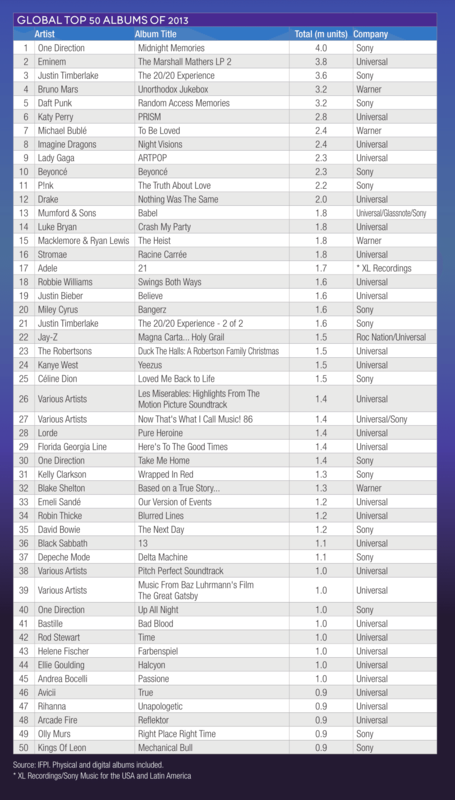 ^ "ARIA Digital Tracks Chart". ARIA Charts. 10 February 2014. Archived from the original on 14 February 2014. ^ "Top 20 New Zealand Singles Chart". Recorded Music NZ. 16 February 2015. Retrieved 20 February 2015. ^ a b c "FIMI: Lorde - Database Top of the Music". FIMI. Retrieved 21 August 2017. ^ "Lorde "Royals"" (in Danish). IFPI Denmark. Retrieved 30 January 2014. ^ "Lorde Royals" (in Swedish). Sverigetopplistan. 4 February 2014. Archived from the original on 21 May 2013. Retrieved 27 February 2014. ^ "Top 20 New Zealand Singles Chart". Recorded Music NZ. 25 September 2015. Retrieved 8 March 2014. ^ "ARIA Charts – Accreditations – 2017 Singles". Australian Recording Industry Association. Retrieved 10 August 2017. ^ "Top 20 New Zealand Singles Chart | 2 March 2015". Recorded Music NZ. Retrieved 27 February 2015. ^ "Lorde "Team"" (in Danish). IFPI Denmark. Retrieved 19 June 2014. ^ "Lorde Team" (in Swedish). Sverigetopplistan. 6 May 2014. Archived from the original on 21 May 2013. Retrieved 9 May 2014. ^ "Top 20 New Zealand Singles Chart". Recorded Music NZ. 7 October 2013. Retrieved 28 February 2014. ^ "Canada Rock: May 10, 2014". Billboard. Retrieved 14 May 2014. ^ "The Official New Zealand Music Chart". nztop40.co.nz. Retrieved 4 March 2017. ^ "Top 20 New Zealand Singles Chart". Recorded Music NZ. 12 February 2018. Retrieved 9 February 2018. ^ a b c "Lorde – Chart search on Billboard.biz". Billboard. Retrieved 27 June 2017. ^ "New Zealand single certifications – Lorde – Perfect Places". Recorded Music NZ. Retrieved 2 October 2017. ^ "Top 20 New Zealand Singles Chart". Recorded Music NZ. 5 February 2018. Retrieved 2 February 2018. ^ "Disclosure". ultratop.be. Retrieved 4 March 2017. ^ "Disclosure – Chart History: Billboard Canadian Hot 100". Billboard. Prometheus Global Media. Retrieved 27 June 2014. ^ Hung, Steffen. "irishcharts.com - Discography Disclosure". irish-charts.com. Retrieved 4 March 2017. ^ "Discografie Disclosure". dutchcharts.nl. Retrieved 26 December 2017. ^ "Disclosure". Official Charts Company. ^ "Disclosure - Chart history - Billboard". billboard.com. Retrieved 4 March 2017. ^ "Top 20 New Zealand Singles Chart". Recorded Music NZ. Retrieved 10 March 2017. ^ Ryan, Gavin (14 November 2015). "ARIA Singles: ARIA Charts - Accreditations - 2016 Singles". ARIA. Retrieved 14 November 2015. ^ "Le Top de la semaine : Top Singles Téléchargés – SNEP (Week 11, 2017)" (in French). Syndicat National de l'Édition Phonographique. Retrieved 18 March 2017. ^ "IRMA – Irish Charts". Irish Recorded Music Association. Retrieved 24 June 2017. ^ a b "Lorde – Chart history: Hot Rock Songs". Billboard. Retrieved 8 March 2014. ^ "Top 20 New Zealand Singles Chart". Recorded Music NZ. Retrieved 13 January 2014. ^ "NZ Top 40 Singles Chart". Recorded Music NZ. 23 December 2013. Retrieved 5 October 2017. "Lorde – Flicker (Kanye West Rework) – Republic Records". Republic Records. Archived from the original on 2 January 2015. "Flicker (Kanye West Rework) (From The Hunger Games: Mockingjay Part 1) | Lorde". New Zealand: 7digital. Archived from the original on 18 December 2014. Retrieved 18 December 2014. ^ "Top 20 New Zealand Singles". Recorded Music New Zealand. 3 July 2017. Retrieved 9 August 2017. ^ "Discografie Lorde". ultratop.be (in Dutch). Hung Medien. Retrieved 11 July 2014. ^ "Discografie Lorde". ultratop.be (in French). Hung Medien. Retrieved 11 July 2014. ^ "NZ Top 40 Singles Chart". Recorded Music NZ. 18 March 2013. Retrieved 5 October 2017. ^ "NZ Top 40 Singles Chart". Recorded Music NZ. 15 July 2013. Retrieved 8 March 2014. ^ a b "NZ Top 40 Singles Chart". Recorded Music NZ. 7 October 2013. Retrieved 5 October 2017. ^ a b "NZ Top 40 Singles Chart". Recorded Music NZ. 24 November 2014. Retrieved 5 October 2017. ^ a b c d e "NZ Top 40 Singles Chart". Recorded Music NZ. 26 June 2017. Retrieved 11 August 2017. ^ "Top 20 New Zealand Singles Chart". Recorded Music NZ. 17 July 2017. Retrieved 20 February 2018. ^ a b "NZ Top 40 Singles Chart". Recorded Music NZ. 17 July 2017. Retrieved 5 October 2017. ^ "NZ Heatseeker Singles Chart". Recorded Music NZ. 19 March 2018. Retrieved 16 March 2018. ^ Thomas, Sarah (8 August 2014). "Lorde's early work unmasked". The Sydney Morning Herald. Retrieved 12 November 2014. ^ Morgan Britton, Luke (8 August 2014). "Listen to Lorde's high school band "And They Were Masked"". The Line of Best Fit. Retrieved 8 March 2019. ^ "The Hunger Games: Catching Fire [Original Motion Picture Soundtrack]". AllMusic (All Media Network). Retrieved 8 March 2014. ^ Martins, Chris (4 March 2014). "Lorde and Son Lux Collaborate on Menacing 'Easy (Switch Screens)'". Spin. Retrieved 6 March 2014. ^ "Alternate Worlds – EP". United States: iTunes Store (Apple). Retrieved 6 March 2014. ^ "The Rock & Roll Hall Of Fame: In Concert 2014 (Live) by Various artists on Amazon Music". Amazon Music. Retrieved 9 December 2018. ^ a b "The Hunger Games: Mockingjay Pt. 1 (Original Motion Picture Soundtrack)". United States: iTunes Store. Retrieved 6 December 2014. ^ Brandle, Lars (1 August 2016). "Broods Talk Life on the Road, Recording With Lorde and Getting 'S--- Done'". Billboard. Retrieved 1 February 2019. ^ Geslani, Michelle (31 March 2017). "Bleachers and Lorde link up on new song "Don't Take the Money" — listen". Consequence of Sound. Retrieved 30 December 2017. ^ "Lorde – 'Royals'". MTV (Viacom). 6 August 2013. Archived from the original on 16 November 2013. ^ "Lorde – 'Tennis Court'". MTV (Viacom). 24 June 2013. Archived from the original on 18 June 2014. ^ "Lorde's new video 'crashes Vevo'". Stuff.co.nz (Fairfax New Zealand). 4 December 2013. Archived from the original on 4 December 2013. ^ Beauchemin, Molly (6 November 2014). "Lorde Shares 'Yellow Flicker Beat' Video". Pitchfork. Retrieved 6 November 2014. ^ "Lorde Plays Fatal Attraction in Disclosure's 'Magnets' Video: Watch". Billboard. 29 September 2015. Retrieved 8 October 2015. ^ "Lorde Releases New Song "Green Light" and Video: Watch | Pitchfork". Pitchfork. Retrieved 2 March 2017. ^ Wicks, Amanda (3 August 2017). "Lorde Takes One Hell of a Vacation in New "Perfect Places" Video: Watch". Pitchfork. Retrieved 13 August 2017.